Concerts at Jewett event will take place at South Parish Congregational Church in Augusta. AUGUSTA — “A Christmas Concert: Downeast Brass with Jay Zoller, Organist” is set for 2 p.m. Sunday, Dec. 18, at the South Parish Congregational Church, 9 Church St. The event is part of the Concerts at Jewett series, sponsored by University of Maine at Augusta College of Arts and Sciences and UMA Senior College. For years South Parish Congregational Church and its organist Jay Zoller have shared their organ with the public in a special holiday concert featuring the Downeast Brass Quintet. Zoller plays the historic 1866 E. & G. G. Hook Organ for services and concerts. He comes to South Parish with long experience in church music and recital playing. 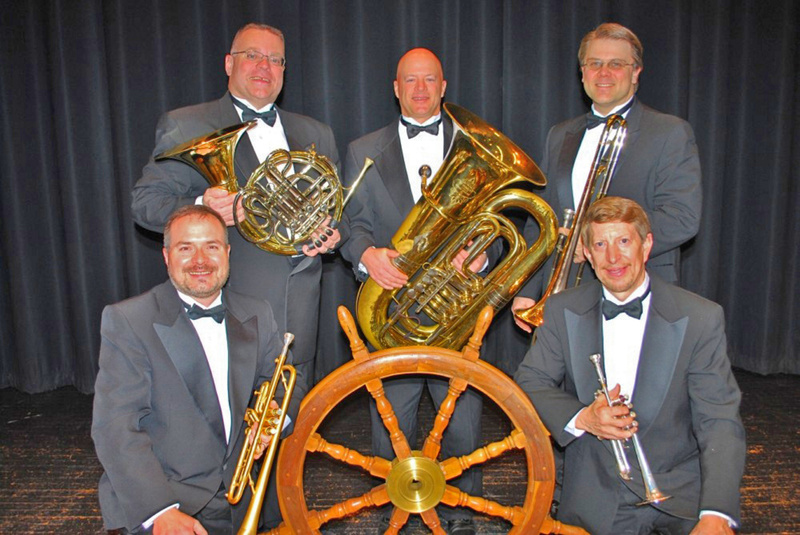 The Downeast Brass has performed in many New England settings. Their wide range of musical styles makes them the preferred musical choice for many occasions. Tickets cost $10 for adults, $5 for students, and is free for children 12 and younger. Tickets are available at Pat’s Pizza in Augusta, Dave’s Appliance in Winthrop, and at the door. For more information, call 621-3551, email [email protected], or visit www.concertsatjewett.com.